The countdown to the new school year has begun, which means it's time to start working on the postcards I send out to my new students the weekend before our first day! 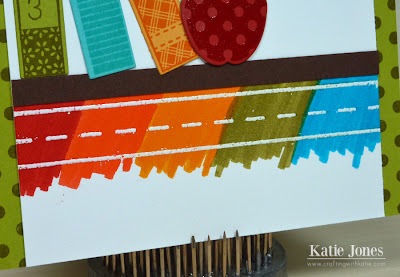 This year I had some help from Tombow, who invited me to join in their 100 Days of Tombow celebration. They sent me some of their super fun Dual Brush Pens, Irojiten Color Pencils, and the Stamp Runner Adhesive; and my participation resulted in their donation of $100 worth of product to the Council for Arts Education. Cool Tombow products for me and the kids? How could I resist? Thanks, Tombow! This was my first time using the Dual Brush Pens, and I love how smooth and vibrant they are. I used them over a dashed line from the Papertrey Ink School Time stamp set, that I had heat embossed with white embossing powder. It's really cool to see how the embossed area resists the pens! 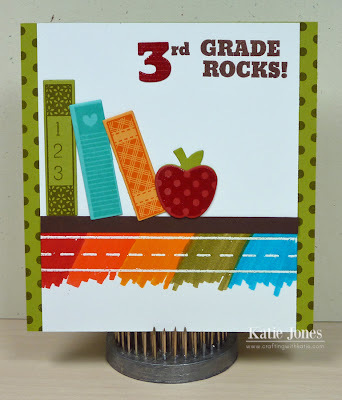 All of these stamps and dies are from the cute PTI Back to School stamp and die sets. 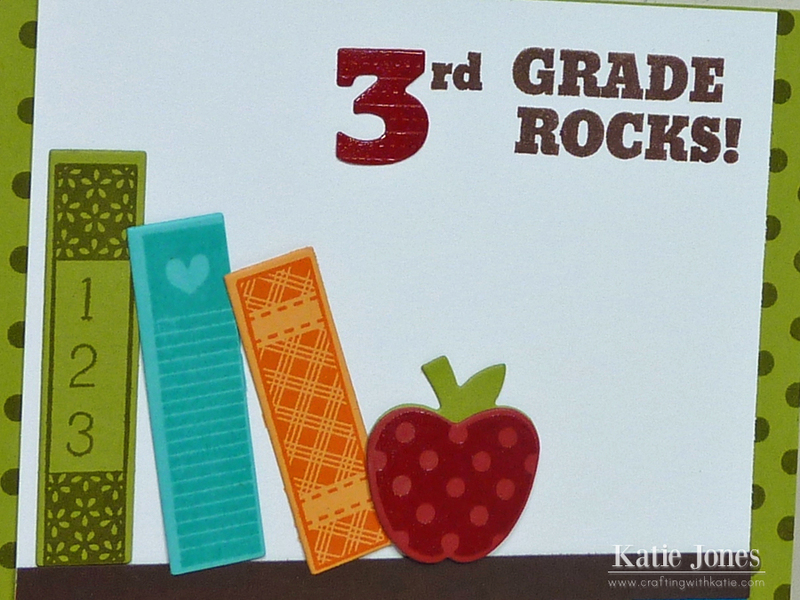 I adhered them down with the Tombow Stamp Runner Adhesive, which is definitely my new favorite! Check out my video below to see how I put this card together and to see these fun Tombow products in action. I agree with the adhesive. I attended a class at Archivers a week ago. They used this & I just love it. Very good product & love the applicator. Cute card. School starting?.wow. You did such wonderful job Katie! I love your projects and your sweet blog. Thank you for taking the time to post such terrific creations. Adorable card, Katie. I do have a question....what is it that you first put on your items that you will emboss??? It looks like a glue powder or something. Katie ~ well you know how much I LOVE, LOVE, LOVE this postcard! I know your new students and their parents will too! I learned so many fun things watching the video too! As a matter of fact I bought that runner because of you! AMAZING job ~ like always sweet friend! I loved your postcard to your new students. Besides being an awesome paper crafter you must also be an awesome teacher. My grandson is going into the 3rd grade this year. Hope he has a thoughtful teacher like you. How sweet to make the kids these cute cards. Great job on the video showing how too. The Tombow products look awesome. I really like the idea of a two way adhesive...the stamping small areas is very cool. Cute card. Most kids love to receive mail. Good luck in the new school year. I also love the Tombow adhesive. Works great. I have never had it to lump up.